Recently, attention in modern linguistic theory has been shifted to facilitating a broader understanding of the world, in which language is a tool to establish a bridge between the interlocutor and the recipient. To do so, the development of linguistic, communicative and socio-pragmatic competences enriched with socio-cultural inputs in English as a Foreign Language (EFL) or Second Language (L2) teaching and learning contexts have a significant impact on language learners both to develop their perception as native speakers of English and to facilitate the progress of cognitive skills and capabilities. 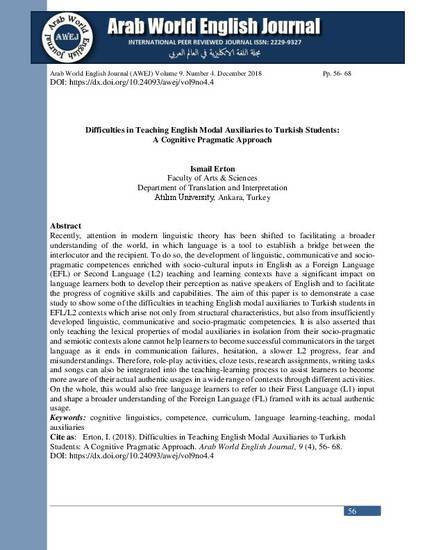 The aim of this paper is to demonstrate a case study to show some of the difficulties in teaching English modal auxiliaries to Turkish students in EFL/L2 contexts which arise not only from structural characteristics, but also from insufficiently developed linguistic, communicative and socio-pragmatic competencies. It is also asserted that only teaching the lexical properties of modal auxiliaries in isolation from their socio-pragmatic and semiotic contexts alone cannot help learners to become successful communicators in the target language as it ends in communication failures, hesitation, a slower L2 progress, fear and misunderstandings. Therefore, role-play activities, cloze tests, research assignments, writing tasks and songs can also be integrated into the teaching-learning process to assist learners to become more aware of their actual authentic usages in a wide range of contexts through different activities.  On the whole, this would also free language learners to refer to their First Language (L1) input and shape a broader understanding of the Foreign Language (FL) framed with its actual authentic usage.